Remakes are a dime a dozen in Hollywood today, with the track record being fairly mixed on whether they can add anything to their respective origins. Sony’s latest Miss Bala, a remake of an acclaimed 2011 Spanish-language film, is the ultimate cautionary tale of a remake gone wrong. Its uninspired and inauthentic execution makes it an early favorite for most 2019 worst of lists. Miss Bala follows Gloria (Gina Rodriguez), a make-up artist who visits her best friend in Mexico. When she gets kidnapped, Gloria begins to pursue any means of finding her friend, even if it means working with the Mexican cartel and DEA. 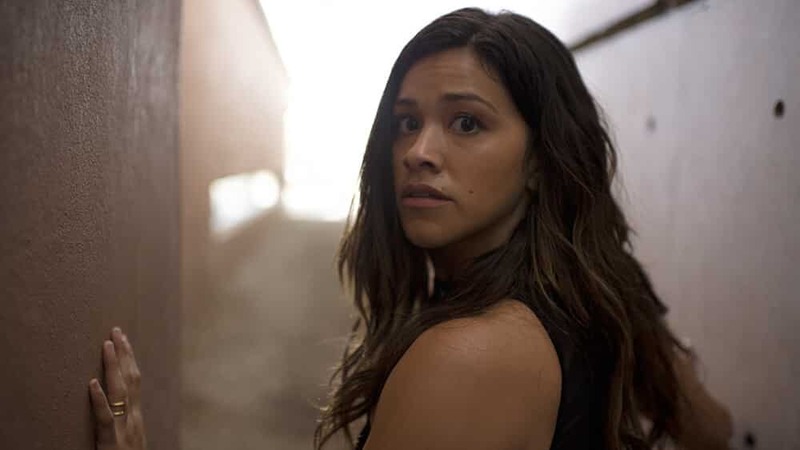 Miss Bala tries to balance the humanity and impact of its original source material while commercializing it in the package of a run-of-the-mill action film. These two concepts mesh like oil and water, making for a failed action film and an even worse remake. The one creak of sunlight illuminating from this disaster is its star Gina Rodriguez. Getting her chance to star in her own film, Rodriguez delivers a naturalistic turn as Gloria. Trying to manage her dire situation while constantly having to question who she can trust, Rodriguez is able to show a lot of range as she tries to shield her growing weariness. Despite the character not being written with much depth, she is really able to make it her own, proving she has what it takes to be a genuine movie star. Outside of Rodriguez, Miss Bala is a pretty hopeless affair. This is a case where the problematic aspects of the film are a byproduct both of its pre-production and overall execution. For a film that is trying to depict the darkness of the the crime underbelly, including muderous cartels and enslaved women, crafting this as a PG-13 film is woefully misguided. Screenwriter Gareth Dunnet-Alcocer script only brushes against some of the weightier ideas of the film, making it a substance-free experience. If it doesn’t succeed at capturing the original’s depth, is Miss Bala at least entertaining? That answer to that is not really, unless you count a few unintentional laughs spread throughout. Director Catherine Hardwick (who most know from Twilight) does a competent job at directing the action setpieces, but fails to give the movie much of a pulse. Even as the stakes build throughout, Hardwick fails to ever build much tension, with scenes often meandering without much purpose and lacking the realism to be all that effective. The Miss Bala remake does attempt to capture the blurred lines of morality that both the cartel and government officials often operate with; along with displaying the rampant abuse of power by men upon women, but the film’s execution is largely too simplistic and generic to ever register. It certainly doesn’t help that a majority of the performances are frankly poor, with the cast outside of Rodriguez and a small Anthony Mackie appearance often struggling to be convincing. On the flip side, the cast is largerly straddled with dialogue that ranges from stilted to unintentionally funny. Miss Bala fails to ever even reach the surface of the original’s sentiment, instead opting for a dull and lifeless attempt to monetize its subject matter. Gina Rodriguez deserves so much better than this, and I hope her strong work here lands her more leading roles.